This is another long running Dublin hostel and it knows how to be a really good hostel. It's quiet big and as such offers an extensive range of room types, private and dorms, and all are spacious and ensuite - which is particularly rare in hostels in Dublin. 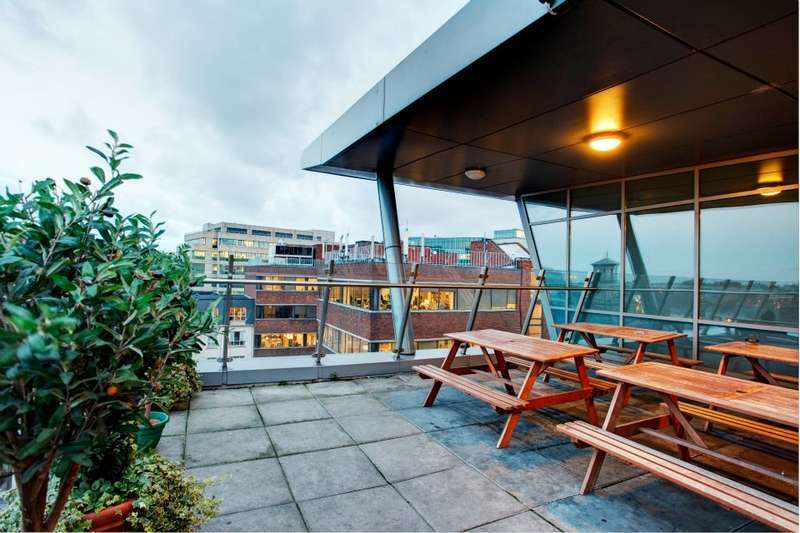 The self-catering kitchen is large, very functional and sociable, common areas are comfortable and their outdoor common area on the upper-floor offers a nice setting to chill out and absorb the city from above with fellow travellers when the Irish weather behaves itself. It's very convenient for airport connections too. We recommend! 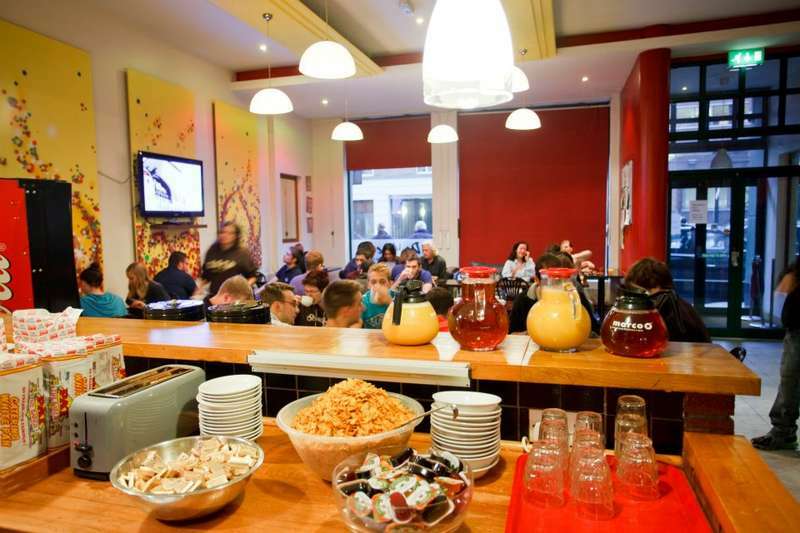 Jacobs Inn is the only purpose built hostel in Dublin and is right in the heart of Dublin City Centre. Within walking distance of LOADS of Dublin Tourist attractions: Temple Bar, Croke Park, the O2 and O’Connell Street as well as Trinity College, Guinness Store House, and Old Jameson Distillery. 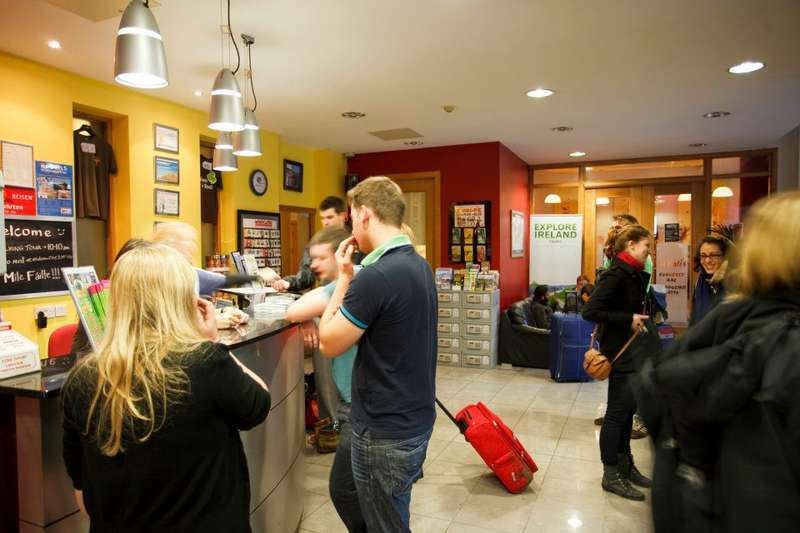 Jacobs Inn offers spot on for superior hostel accommodation in Dublin City. Guests love our Really Friendly Staff, Squeaky Clean, Modern Ensuite Rooms, Free Walking Tours. Free Wifi and great value for money in a city centre location. With great transport links we are just down road from Central Bus station (Busaras), 2 minutes from Connolly train station and a hop skip and a jump from the Luas (Tram) with connections all over city. The Links to the Airport are real handy with the Airlink 747 bus collecting Jacobs Inn hostel guests at the end of the street at the Central Bus Station( Busaras) .Operating from 5.15am ( 7.15am Sundays). Discounted tickets are available here at Jacobs Inn for purchase. The bus takes 30 minutes. For individual reservations the cancellation policy is 24 hours booked direct with us ( though if booking through third party agent this may be longer ). For groups, we require the first nights accommodation prepaid as deposit. This is non-refundable. Any group cancellations must be made in writing 4weeks before the arrival date of the group. Groups with under 16s must be accompanied by adults. Families travelling with children under age of 16 must book private accommodation.